Who: Lanterns from San Diego. What: Beginning under the premise that there is no premise, this four-piece have been taking their extremely noisy pop songs across the country twice, making stops with bands like Matt and Kim and And You Will Know Us By the Trail of Dead. 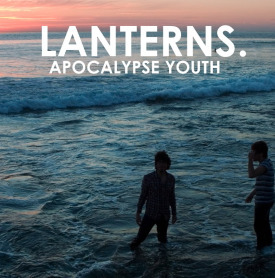 Their self-released Apocalypse Youth EP is out now, which Alternative Press says tips them into the Best Unsigned Bands of 2009 category. If the visceral guitared and epically arranged song below is any indication of the rest of the EP, Id agree as well.